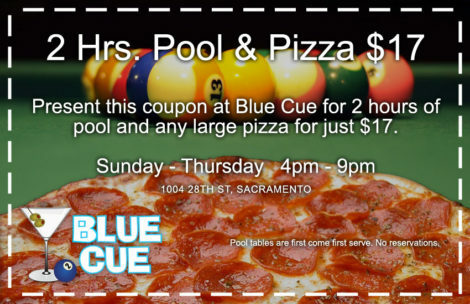 Present this coupon for 2 hours of pool and any large pizza for just $17. Pool tables are first come, first serve. No reservation.